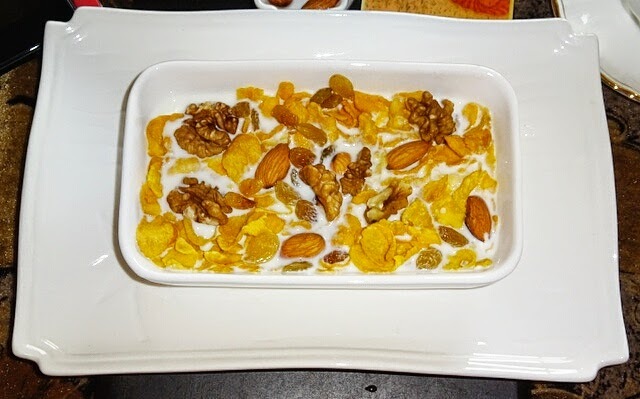 Easy Recipe Of Corn Flakes With Milk -Best way to prepare and enjoy cornflakes with milk? 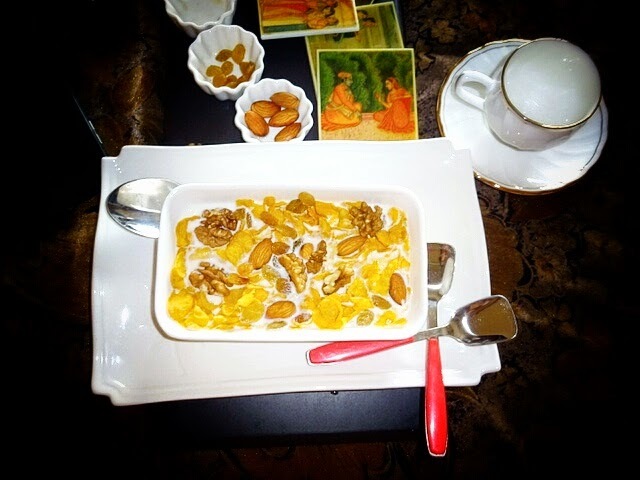 Cornflakes with milk is one of the most easiest recipe. We have been enjoying cornflakes from many months that to religiously. Muesli, cornflakes, Quaker oats are most preferred breakfast items in our house. 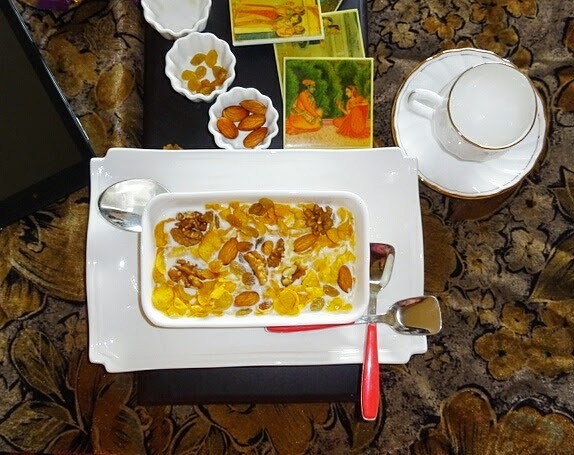 Cornflakes in our house is enjoyed in two ways, crispy and soft which gets melted in your mouth, for that you need to add very hot boiling milk. 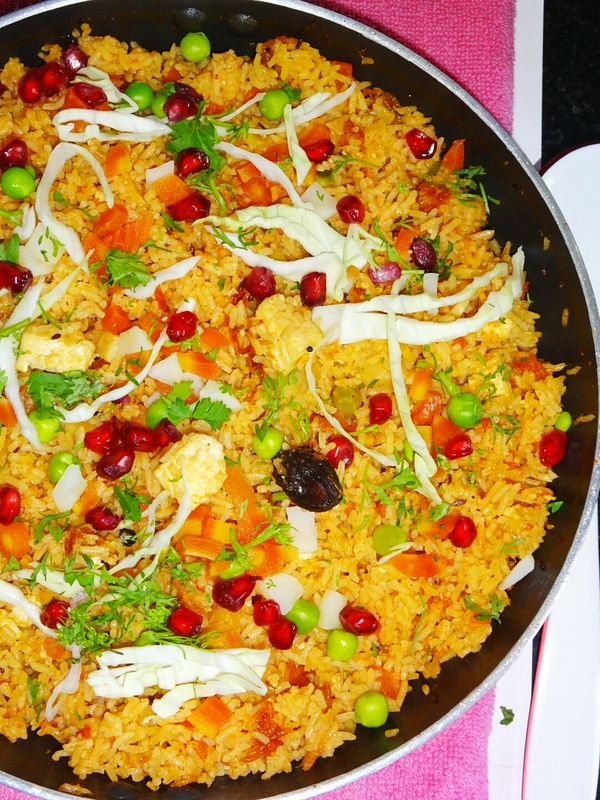 I mainly add raisins, almonds, walnuts, cashew nuts, melon seeds, as these nuts complement each other and enhance the cornflakes taste. 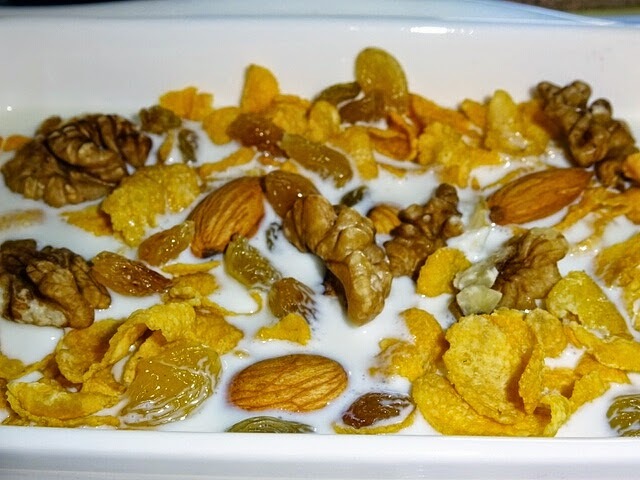 If you want to enjoy crispy form of cornflakes in milk, then add milk which is warm or lukewarm that will retain crisp even after adding milk, but need to finish fast. ◾Quantity of milk and cornflakes: The best proportion I feel one should go with 2:1 proportion. Example for 100 gms cornflakes add 200ml milk. 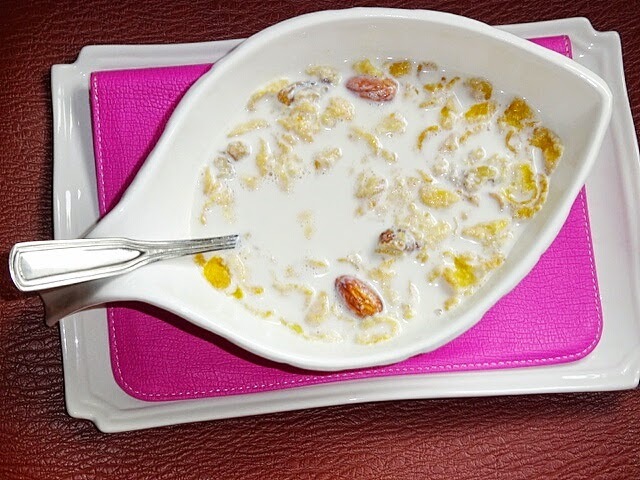 ◾Before adding nuts and raisins in milk, wash them nicely to avoid curdling of milk. 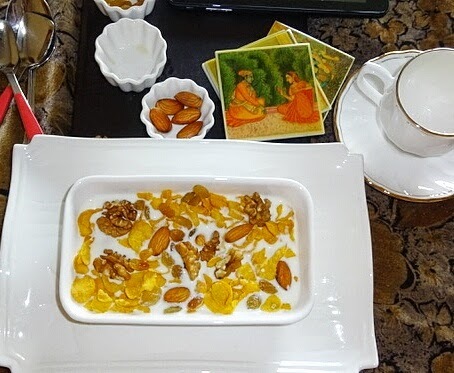 Nuts and raisins proportion should be like, for 100 gms cornflakes, 5-6 almonds, 5-10 gms raisins, 1-2 walnuts and 2-3 cashew nuts. ◾I also add 1tsp roasted crushed flax seeds. ◾Replace sugar with honey, if that suits your taste buds. 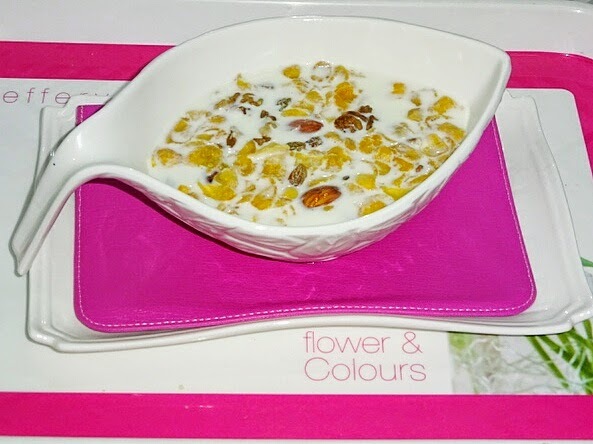 ◾Never add fresh fruits in hot milk as it result in curdling of milk..
◾Add cornflakes in serving bowl. ◾Add nuts of your choice. ◾Sprinkle some sugar on it. ◾Pour hot boiling milk over cornflakes.